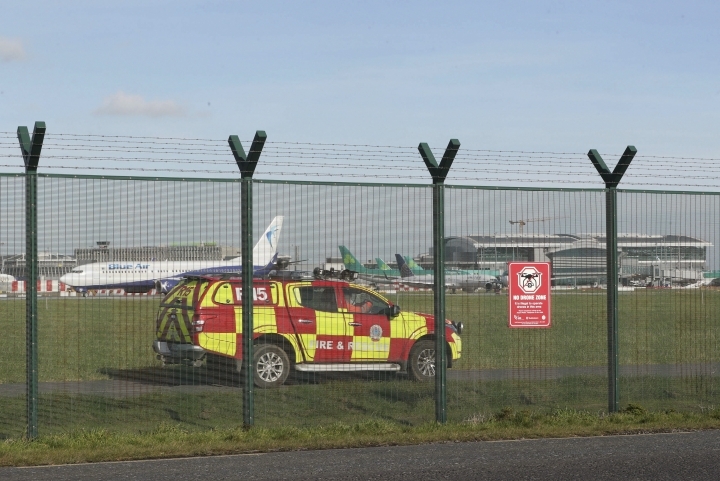 LONDON — Flights to and from Dublin Airport in Ireland were briefly halted Thursday after a drone was spotted over the airfield. The airport said the Irish Aviation Authority suspended flights for 30 minutes after a confirmed sighting by a pilot at around 1130GMT. "As there were no further drone sighting within the 30-minute suspension period, Dublin Airport resumed flight operations shortly after noon," the airport said in a statement. It said three incoming flights were diverted to other airports during the closure, and some knock-on delays to departures were expected for the rest of the day. The airport said "the safety and security of customers is our key priority at all times." More than 100,000 travelers were stranded or delayed before Christmas after drone sightings near London's Gatwick, Britain's second-busiest airport. No one has been arrested over the incident, which saw the airport shut for parts of three days.